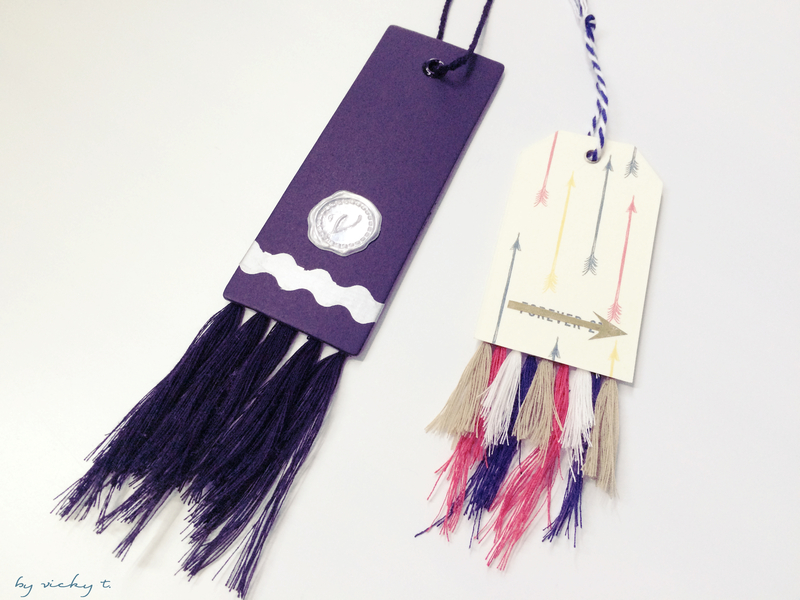 It’s tassel DIY week for me! I had a few leftover “tassels” that I made from my last post which sparked this idea to reuse clothing tags as bookmarks. I’ve collected quite a few clothing tags especially from Forever21 (lots of shopping haha). I kept the sturdier ones with the string still attached so that the string will make it easier to retrieve my page. To cover the brand’s name, I cut white contact paper into a desired shape and checked if it will fit. Since it’s completely white, I colored it with a silver marker and then pasted it on the tag. With the tassels, which I initially made as experiment for my previous post, I glued them onto the “uglier” side. Now, I could decorate on the other side of my bookmark. I made another one as well in which I used different colored thread to make the tassels of varying length and covered the logo with a cut out arrow. They somewhat look like little rockets to me as well so it’s time to fly into some books! Hope you liked this post! Thanks for reading. I am such a bookworm so this DIY is just so perfect! Thanks for sharing! These are so cute! 🙂 Totally original too, I haven’t seen anything like this. I’ll have to make some! What a lovely idea! Thank you for sharing! I love this idea! it is so creative! this gives me life ..so creative !